Blocks of flats in Töölö, Helsinki. The Finnish capital has no so-called bad neighbourhoods, insists Deputy Mayor for Culture and Leisure Nasima Razmyar (SDP). Nasima Razmyar (SDP), a Deputy Mayor of Helsinki, and Kai Mykkänen (NCP), the Minister of the Interior, do not see eye to eye on the measures required to prevent the development of suburban gangs in Finland. Mykkänen told Uusi Suomi last week that he would be willing to increase the number of neighbourhood police officers in high-risk neighbourhoods. He added that the number of such neighbourhoods can currently be counted on the fingers of two hands but refused to name any of the neighbourhoods he believes are at risk of spawning gangs. He added to Ilta-Sanomat on Monday that the neighbourhoods are located in the largest cities in Finland – Helsinki, Turku and Tampere. Razmyar views that such statements are detrimental as they can accelerate the segregation of residential areas, which according to her is the single largest risk factor for the development of gangs. Helsinki, she stresses, does not have any so-called immigrant neighbourhoods and has succeeded in preventing the concentration of disadvantaged people in certain suburbs. “We’ve been saved by our housing production and policy, which encourages social mixing. The mix isn’t perfect wherever you go, but it has been our policy for a long time and we continue to apply it to new residential areas,” she said to Uusi Suomi on Tuesday. She pointed out that calling some neighbourhoods bad neighbourhoods would be particularly harmful, as it would have an enormous direct impact on how the neighbourhoods are perceived in public. “We’ve worked years so that we don’t have to talk about bad residential areas. It’s the wrong message to send to announce at the state level that there’s an indefinite number of crisis areas,” she said. Social segregation, she admitted, is evident in certain neighbourhoods: unemployment and other social problems may be concentrated in certain housing companies, around certain department stores or around metro stations at traffic nodes. Razmyar believes Finland should not seek to address the issue by following in the footsteps of Sweden, where violence between rival suburban has risen sharply over the past couple of years. For example, suggesting that increasing policing should be the primary means to prevent the development of gangs is uncalled for. “That’s the wrong way. It’d in fact be a very populist to solve the problem, which is at a completely different level in Sweden than in Helsinki,” she explained. She added that if a decision to increase police resources is made, the resources should be targeted at efforts to increase police presence in a way that promotes confidence in police in the long term, such as by organising football matches between police officers and local immigrant youth. “That’s how you can use concrete measures to build trust in the community,” she said. Immigration, she also admitted, is nevertheless a major challenge for Helsinki. “The central government will hopefully understand that immigration is a special question for us. The number of foreign-speaking population will hit the 100,000 mark this year. 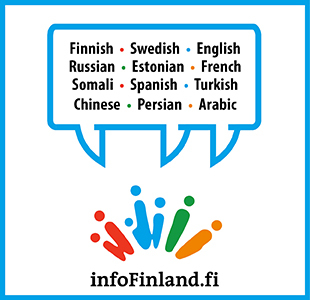 Helsinki is absolutely unique in terms of the numbers, meaning that there are more and more foreign-language speaking young people in schools,” she highlighted.